Decorate your dining table, add a centrepiece to your console or use as a standalone statement. The versatile Baglioni tray from Eichholtz can is ideal for all manner of settings or uses. 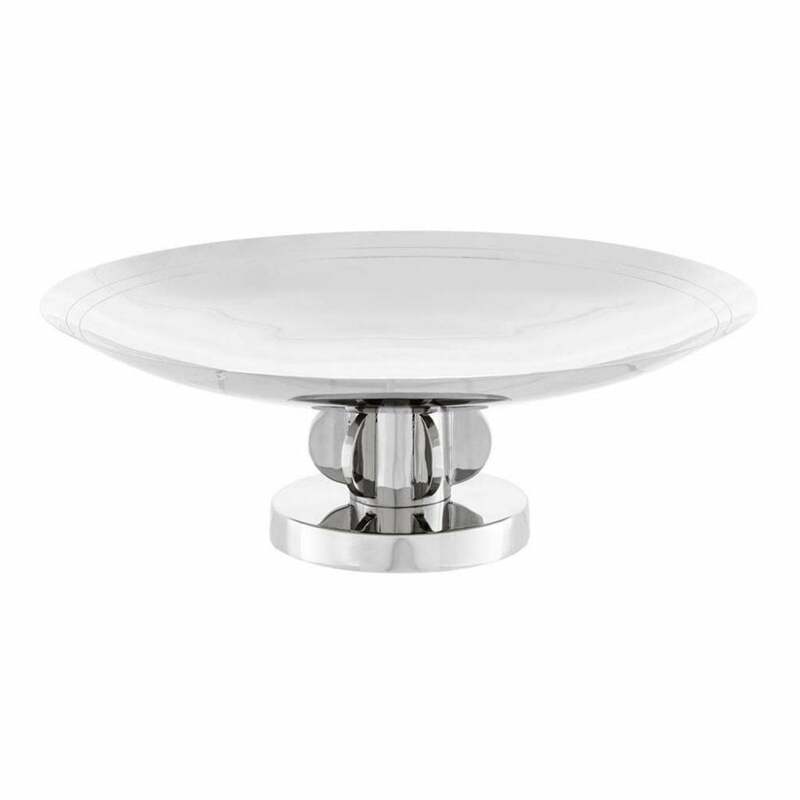 The classically designed Baglioni tray appears in a beautiful silver nickel finish with elegant spherical detailing on the base. Whether entertaining and serving drinks or filling with fresh fruit, the modern Baglioni tray allows you to entertain with luxury and style. Style with complementary nickel products from Eichholtz for a cohesive, stylish finish.